:D and worry worry.. time to get a new pc for you then.. my case is different k? 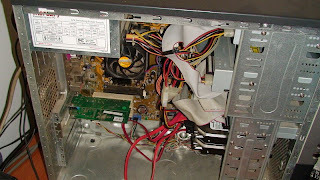 i learned using my own pc almost all the hardware modifications.. experimented on it and thats the reason why its dead now. d sight of ur pc is artistic:)!! thanks for taking your time to read it and thanks :) take care and have fun..
happy to inform you that i too got the invitation for the inerview but i;m not interested. hey,rains are a blessing anytime!use your rain coat man,and enjoy! Shravan the interview was good. I liked your straight from the heart answers ;-) This is really something to TREASURE!